Here is a great book to introduce the toy purge idea. 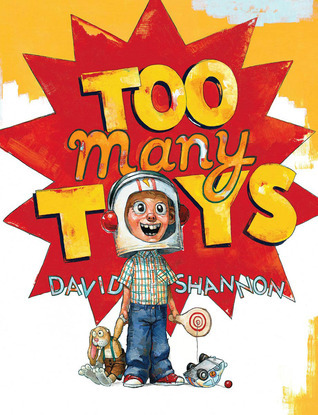 "Too Many Toys" is written and illustrated by David Shannon. I chose it while at the library because of the bright colored cover and I recognized the art. . David Shannon is the author and illustrator of "No, David!" and several other books. I haven't read all of Shannon's books, but I've noticed that while his stories start out typical, and relatable, they end with an even better "understandable" twist. Does that make sense? It seems to me that his book endings are wonderfully unexpected and unpredictable but they come together so perfectly. In a short, simply plotted book with maybe only one or two characters, this is truly something special. I had this book in my bag with me when I went on a Nanny Temp and the just-turned-five year old girl made me read it over and over again. She told me how her mom often said, "You have too many toys!" Then she took the book with her into bed for nap time. There is a full page spread of all of David's toys in the book, some of them are slightly scary in that way that David Shannon has. But she wasn't scared. She was intrigued One of the things she did after the fifth read through was start to pour over the pictures, searching for details. - This is one of the signs of a keeper book. It would be great to pair this book with a "great toy clean-up and reduction!" You know. The Toy Purge. - If you have to do any of that just one... more... time... someone might get killed! You know that moment. If you have kids, have worked with kids or know anybody with some well loved kids, that moment in time has happened. At least once a year. Once they get past the initial idea of getting rid of toys, I find most kids are receptive to the idea. Read this book to introduce the "great toy clean-up and reduction." And do the activity David does in the book to make the end of the day pass with fewer complaints. Although the illustrations of "Too Many Toys," are more quirky than beautiful and the story is simple and tight without challenging the vocabulary, this is still a great story. Kids get it. Shannon tells it without making it seem like I have heard Too Many Toys or yelled "You have Too Many Toys," at my kids, a hundred times. I would recommend this book for the families I work for. Great selection and idea. We've used this book at home before selecting toys to donate. Great ideas, thanks for sharing! 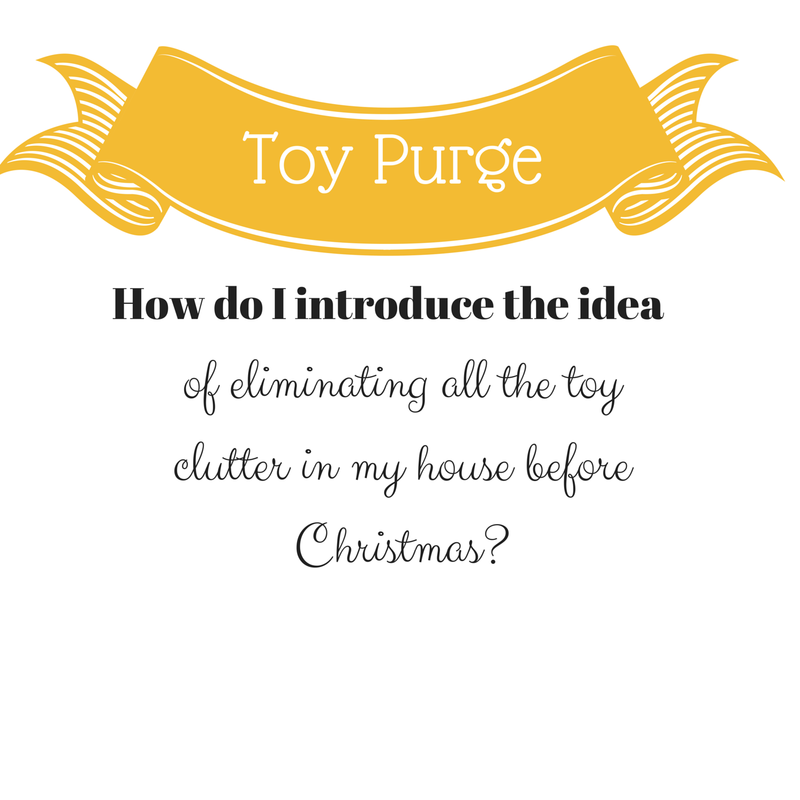 I'm always on the task of decluttering and purging toys. It's amazing just how quickly they accumulate more things. Sounds like this book is the perfect accompaniment to ease the process!